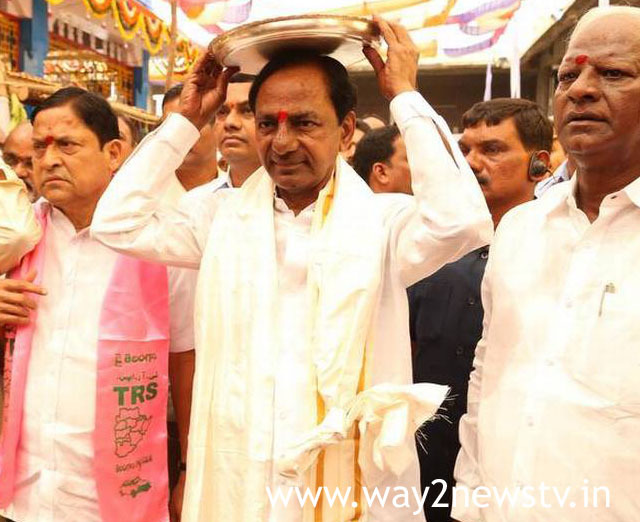 The Chief Minister KCR said that the evidence of the Telangana struggle is a signal to the party. On Friday afternoon his family members visited medaram Sammakka saralamma jathara . Then there was a golden arrangement and a bowl. The gold coincided with the gold catches and presented to Sammakka Saralamma. CEO said that this time will be done in an unprecedented way and will work harder for the development of jathara. Medaram Satara asked to bring the National Festival. He suggested that the devotees who come to the jungle should go back home and return home safely. The Chief Minister said that 200 acres of land would be acquired for South India's Kumbh Mela Sammakka Saralamma Shakthi and Jathara Permanent Establishments.